Bread and water are things that human nature requires, Seneca said. 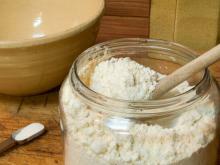 As the main raw material for bread, flour is one of the oldest products that one uses for food. In most European countries, growing wheat has a venerable tradition. Today, bread is marketed in more varieties and is more nutritious than ever. 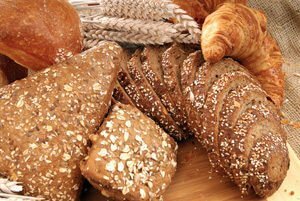 Bread is based on flour, which exists in the most amazing shapes, textures, flavors, sizes, and with a variety of supplements. Flour can be made from different varieties of grains. Flour is made from non grain crops too - soybeans, potatoes, buckwheat, tapioca and others. 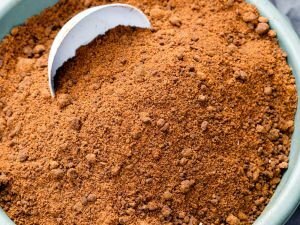 Freshly ground flour is yellowish in color with a bright color that is the result of several chemical additives. Producers use bleach additives, such as benzoyl peroxide, ascorbic acid and others. 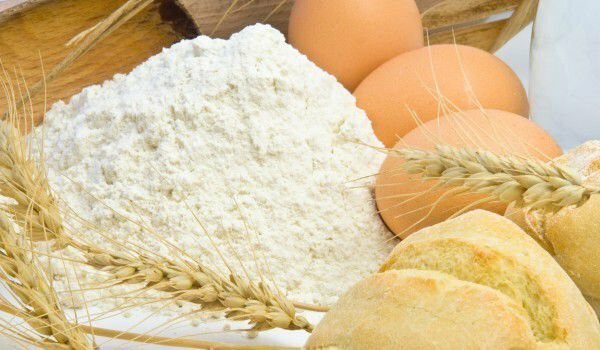 To improve the quality of flour and other substances E 450 (2) disulphates are used, as well as emulsifiers, like E500 sodium carbonate, to prevent caking of the flour, and ascorbic acid E300 in the role of an antioxidant and enhancing the function of gluten. Flour with high ash content is darker in color. Soil and climatic conditions have influence on the composition of flour. In recent years, due to the lower nitrogen content in the soil, grain protein content is lower. The history of flour can be traced back thousands of years. The first information about the use of water power to drive millstones to grind flour, dates from the last century BC. Wind is harnessed in this task throughout the next century. Windmills were the main force for the production of flour for a long time, while in 1786 in London, the first steam mill was built. Fine meals are made from whole grains and their three layers. There are several main types of flour, including: Type 500, 700 and 1150 and their resulting basic kinds of bread. The number indicates the type of flour, and the ash content expressed as a percentage. 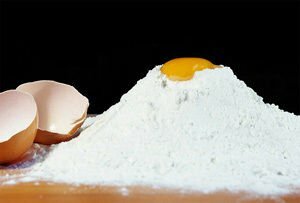 Flour type 700 has 0, 7% ash content. There are other types of wheat flour - 650 and 800, which contain large amounts of proteins and type 1850, known as wholemeal. Due to the deterioration of wheat as raw material for the production of flour for human food, makers add many different types of equalizers. They improve the quality of the final product. Type 500 is used to make white bread type 700. In addition to flour, wheat has several main types. Flour type graham is named after its creator, American Presbyterian minister Sylvester Graham - a prominent advocate of vegetarianism in the first half of the 19th century. Different types of flour are most commonly used in combination to achieve certain properties of bread. Soy flour is added to bread to increase the amount of protein. Wholemeal wheat flour contains about 16% protein, while soy - an average of 45%. It is low in gluten and is very useful. 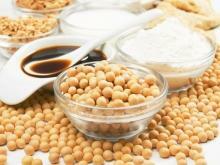 In addition to protein, soy flour is rich in fiber, iron, potassium and vitamins of the group B. 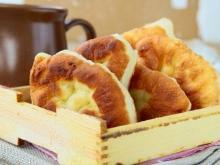 This type of flour makes the texture of the bread thicker and is used most often in combination with fine wheat flour. Rice flour has two main varieties - flour from brown (unpolished) rice and flour from white rice. It gives a grainy texture to the bread. The first type of rice flour is more than 10 times higher in vitamin E, and has a higher content of protein, fiber, zinc, calcium and folic acid. Soy and rice flour are suitable for the preparation of gluten-free bread, which in turn is particularly suitable for people intolerant to the gluten protein contained in wheat flour. Meals made from the middle layer of maize kernels. There are white or yellow ones, depending on whether it is made from white or yellow corn. 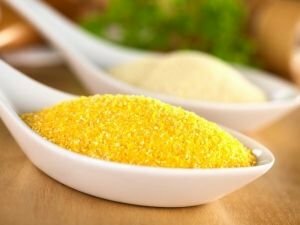 Corn flour is high in carbohydrates, vitamin A, B vitamins, phosphorus, magnesium, iron, zinc and linolenic acid. It contains gluten. Malt flour is made from sprouted barley grains. Sprouts convert some of the starch contained in the endosperm of the grain in the low molecular weight sugars, making it richer in sugars than white flour. Because these sugars are the raw material for fermentation, malt flour is added to wheat to enhance this process, which in turn leads to a change in the taste and texture of the bread. There is also self raising flour, with added salts, acids and soda. When mixed with water, these compounds react with each other and release carbon dioxide, which stays on deck, and then rises. 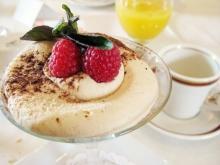 More unpopular is pea flour, which is considered very useful. There is a higher content of mineral salts, vitamins and trace elements in it. Pea meal is 5-6 times cheaper than wheat and contains no cholesterol. Its biological value is 2-3 times higher than that of the usual white flour. It contains four times more potassium than white flour, its phosphorus is 2 times more and the magnesium and iron content is two times higher (pea flour has more than apples). Calcium in pea flour is 4 times higher, but still 30 -40% less compared with cottage cheese. 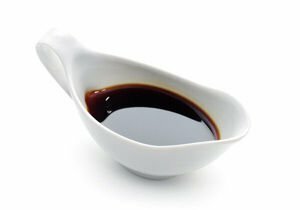 It is rich in vitamin B1 and PP - 4-5 times more than white is. Compared with wholemeal wheat flour, pea flour has two times more protein, the same amount of fat and carbohydrates, and 2 times more fiber. Every grain that produces flour is very nutritious and a valuable product for the human body. In processing, however, during the production of flour and bread, often nutrients are destroyed. The structure of the grain is similar in all grains, the outer part is called the shell and is layered. It is rich in dietary fiber, minerals - zinc, copper, iron, magnesium, selenium and vitamins B - thiamin, riboflavin, niacin and folic acid, while the inner layers – protein too. It constitutes about 15% of the weight of the grain. Under the hood is the middle layer - endosperm. It is the largest part of the grain weight (about 80%). It is rich in carbohydrates (mostly starch) and protein, but it also contains a small amount of vitamins C. The germ is in the inner layer of the grain. 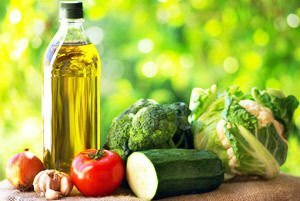 It constitutes 2-3% of the mass of the grain and is rich in protein, minerals and vitamins - especially vitamin E, B vitamins and contains 10% fat. Recent reduces in the durability of flour mean that the production of most germ flour is not included. The composition of flour depends largely on the type and rate of extraction of grain. For example, wholemeal wheat flour contains more protein and starch than wholemeal rye flour, but less dietary fiber. Meanwhile, wholemeal flour has a higher content of nutrients and bioactive substances of the finer flour. The latter contains less than 50% of the amount of vitamin E, vitamin B6, pantothenic acid, manganese, magnesium, copper, zinc, dietary fiber, which is usually found in wholemeal flour. The amount of protein is also less. Flour, which is not whole grain can be further enriched with iron, niacin (Vitamin B3), folic acid and others. You have to choose ones that are sealed in packages, which clearly show their origin and quality. The flour should be stored in a dark, dry place, away from light and fresh air. It is necessary to restrict the access of pests to any flour. 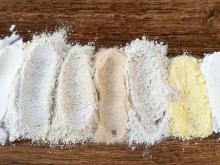 Flour, from pure white to dark brown is comparable in elegance to a variety of different types of wines. If you use a proper meal, so it will give you the desired texture and characteristics of a large number of food products, purchased on the market or prepared at home - from bread and cakes to a variety of dishes, soups and sauces. Bread is the basis for many other foods - pizza, burgers, sandwiches, etc. It is well known that the corn flour is made on a conveyor. 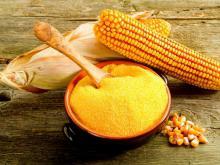 Recently, it has been replaced with the success of a coarse corn meal. There is a special flour to prepare pasta too. There is already an easy Italian wheat meal, which is to be found marked with number 00. This type of flour is very finely ground, with good gluten and is suitable for pizza dough and fresh pasta cooked in the oven ( or lasagna). 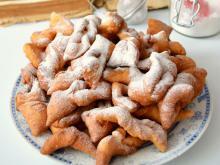 Special flour for cakes has undergone further processing. Most of the grain protein is removed, thus ensuring a fluffy result. For this purpose, they are very finely ground. Pea flour is rich in antioxidants and it is prepared into healthy vegetable cutlets, donuts, bread, pastries, sweet or salty biscuits etc. A good idea is to simply add it to the dough to increase the biological value and nutritional quality of some home baking. "Wine maketh glad the heart of man, oil makes the face radiant, and bread strengthens the human heart." Quote from a prayer. It is scientifically proven that whole bread and pasta help fight heart disease and cancer. 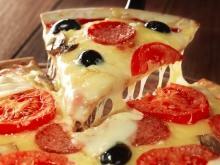 A slice is a good source of energy for your body. It contains an average of only 1 gram of fat and 75 calories, most of which are derived from complex carbohydrates, the body’s preferred source of energy. 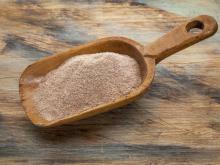 Whole-grain rye flour is richer in beneficial health dietary fiber than whole-grain wheat flour. Rye bread is the most useful of all, because rye contains less starch than wheat and has more free sugars. They are rich in minerals, especially manganese, iron, copper, zinc, selenium, magnesium and B group vitamins. Rye seeds contain polyphenols (especially rich in ferulic acid), which have antioxidant abilities. 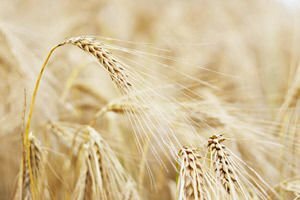 There are opinions that during the milling of wheat, half of its unsaturated fatty acids and vitamin E all vanish. It also loses 50% of the calcium, 70% phosphorus, 80% of iron, 98% magnesium and 60% of vitamin B2 it has. 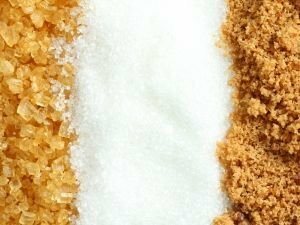 Refined products like white sugar and flour that time were once in the homes of only the richest people, we now know that they are extremely harmful to your health. When eating these foods, the body releases more insulin to revise them. High levels of this hormone contribute to fat accumulation, which threatens the cardiovascular system and ruins the figure. Over time, the pancreas, which produce insulin, stops working, which is a prerequisite for the onset of diabetes. 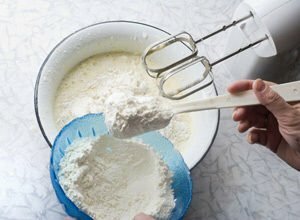 To obtain white colored flour, it is often bleached with chemicals such as those used in bleach and detergents, but in smaller quantities. These bleaches drastically destroy the nutrients in the flour. 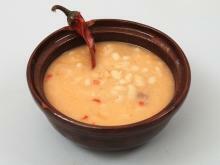 Dietary experts recommend the consumption of hot white refined products to reduce the expense of unrefined, whole. Excessive use of pasta leads to obesity and therefore its consumption is well reduced as a result.